As we transition from the MDGs to the SDGs it is imperative to accelerate momentum to improve maternal and child health. An updated Global Strategy for Women’s, Children’s and Adolescents’ Health builds on new evidence that includes the need to focus on strengthening health systems and improving the quality of health services. The World Health Organization (WHO) envisions a world where every woman and child receives quality care throughout the course of their lives. To realise this vision, WHO’s Department of Reproductive Health and Research, including HRP, is committed to the development and dissemination of evidence-based guidelines to improve the quality of reproductive health care services worldwide. 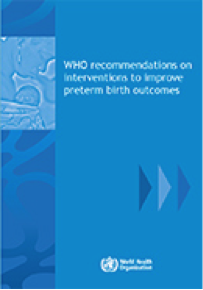 The guideline focuses on improving maternal and neonatal outcomes associated with preterm birth, and specifically includes both the care of pregnant women at imminent risk of preterm birth (birth <37 weeks of gestation) and the care of preterm babies immediately after birth in all settings. The guideline includes recommendations covering antenatal corticosteroids, tocolysis, magnesium sulfate, antibiotic prophylaxis, mode of preterm birth (for the mother) and Kangaroo Mother Care, plastic wraps, continuous positive airway pressure therapy and surfactant and oxygen therapy (for the newborn). The guideline is relevant to those directly providing care to pregnant women and preterm infants, as well as informing the development of programmes, training and policy to improve maternal and newborn services. Planned and regulated task shifting and task sharing can have a range of benefits. It can ensure a rational optimization of the available health workforce, address health system shortages of specialized health care professionals, improve equity in access to health care and increase the acceptability of health services for those receiving them. 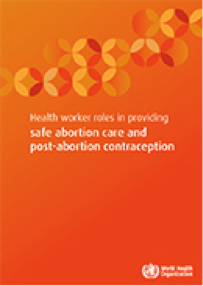 This guideline provides a range of options for expanding of health worker roles in the provision of safe abortion care, the management of complications of abortion (also known as post-abortion care in some settings and provided as part of emergency obstetric care) and for post-abortion contraception provision. This document is part of the process for improving the quality of care in family planning. 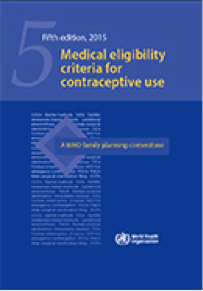 Medical eligibility criteria for contraceptive use (MEC), the first edition of which was published in 1996, presents current WHO guidance on the safety of various contraceptive methods for use in the context of specific health conditions and characteristics. 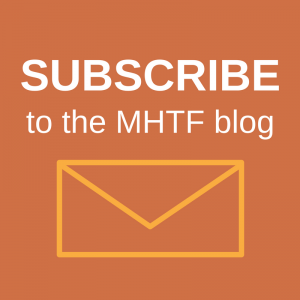 This is the fifth edition of the MEC – the latest in the series of periodic updates. This edition is divided into two parts: Part I describes how the recommendations were developed and Part II contains the recommendations and describes how to use them. The recommendations contained within this document are based on the latest clinical and epidemiological data. Several tools and job aids are available from WHO and other sources to help providers use these recommendations in practice. Both research and consultations over the last decades have identified sexuality-related communication as an issue that requires urgent attention. While clients would like their health care providers to discuss sexual health concerns, health workers lack the necessary training and knowledge to feel comfortable addressing such issues. 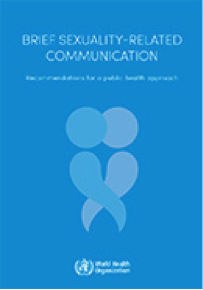 This guideline provides health policy-makers and decision-makers in health professional training institutions with advice on the rationale for health-care providers’ use of counselling skills to address sexual health concerns in a primary health care setting. We encourage you to share these guidelines through your networks and with your friends and colleagues. 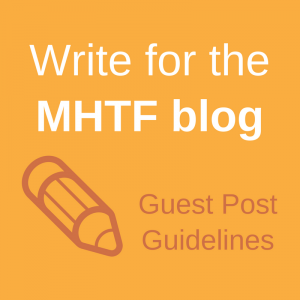 WHO welcomes comments and suggestions on guidelines; these should be directed to reproductivehealth@who.int.